On Friday, January 30th, IIMA attended the Informal Consultation with the Chairperson-rapporteur, Christian Guillermet-Fernandéz, of the Open-ended Intergovernmental Working Group on the Right to Peace. The Human Rights Council decided in its resolution 20/15 of July 5, 2012, to establish this working group with the mandate of progressively negotiating a Draft United Nation declaration on the Right to Peace. This informal meeting took place exactlybefore the third session of the Working Group occurring next April 20. The session collected current opinions of States and NGOs in order to find out points of convergence to proceed with the elaboration of this draft text. During the first part of the meeting many States (Guatemala, Egypt, Cost Rica, Brazil, Mexico, Uruguay, Russia, Venezuela, Indonesia, Algeria), International Organizations and NGOs expressed their support to the Chairperson’s work, congratulating him and highlighting the importance of the right to peace as a prerequisite to all other rights established in international human rights instruments. In particular, they sustained the existing connection between the right to peace, the right to life and the right to development. IIMA and other 19 NGOs, supported a joint Oral Statement, presented by the APG23 (Associazione Papa Giovanni XXIII) encouraging to present a stronger and more meaningful draft on right to peace at the next session of the Working Group. In fact, in order to seek consensus among States about the content of the text, a minimum draft Declaration composed of four articles -which do not take into account none of the elements considered essential by both the Advisory Committee and the international civil society- was submitted to the working Group last June. Even if many States consider the consensus approach the only way through which the Resolution could be really effective, the Chairperson-Rapporteur of the Working Group and some NGOs underlined the exhaustion of this approach, since the negotiation cannot proceed as long as some States refuse the very existence of the right to peace. The European Union and United States reaffirmed the lack of legal foundation for the right to peace in International Law. They align with the preference of a short and clear resolution focusing on the relationship between human rights and peace. During the meeting, the need of including in the preamble of the future text the importance of having friendly relations and cooperation among States also emerged. Furthermore, a discussion on the elimination of any kind of violence and disarmament, the adoption of a victim approach seems necessary to achieve the right to peace. 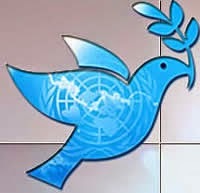 A second joint statement, leaded by Papa Giovanni XXIII Association, with the support of IIMA, VIDES and other 41 NGOs, emphasized the duty of civil society to bring the voice of victims of armed conflicts and violence, remembering that the violation of any human right is a threat to peace. The outcome of the meeting gave the Chairperson-rapporteur the essential task to find a point of convergence in order to achieve consensus on the draft. If so, this would be a new milestone in the existing international legal framework to protect all human rights, particularly the right to life and the right to live in peace.